This year at NeoCon, 9to5 Seating will be revealing new products, product extensions and material options, including new ExpressShip fabric options. With so much to share, we didn’t want to limit ourselves around one tagline. It’s about a mantra and how 9to5 Seating answers the needs of our customers and what drives them. Stop by our showroom on the 10th floor, #109, and find out what we mean. 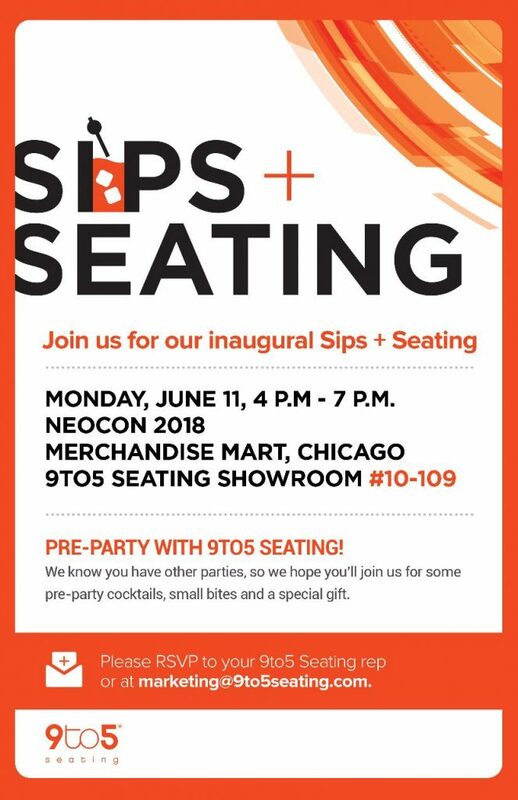 Also, don’t miss our Sips + Seating party Monday night, June 11, from 4-7 p.m.! You can RSVP on our Facebook page.